In general, this article aims at exploring a selected fragment of the Ancient Greek language, namely the metaphors and metonymies related to food and feasting to be found in Old Attic Comedy. More specifically, the aim of the present article is twofold. First, it is to show how food and feasting were indirectly referred to in Ancient Greece by means of metaphor and metonymy. Second, it aims at investigating how food and feasting were used to metaphorically and metonymically talk and, more importantly, think about other spheres of life. In other words, the article is to show how food and feasting were used in Ancient Greece as both sources and targets of metaphoric and metonymic operations. 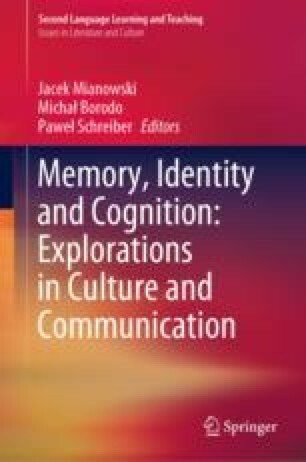 Bearing in mind the Cognitive Linguistic principle of the embodiment of language, in order to analyze the selected linguistic expressions, the authors of this article also shed some light on the culture and the way of thinking of Ancient Greeks, or figuratively speaking, as Goethe would have put it, the authors “go to the poet’s land”. Johann Wolfgang von Goethe (1819) (Whoever wants to understand the poet must go into the poet’s land (translation by Wroth 2007: 68)). https://www.nationalgeographic.com/archaeology-and-history/magazine/2017/01-02/ancient-greece-symposium-dinner-party/. Accessed 2 Feb 2018.